In this episode, we’re so pleased to introduce you to some friends of Dobbo, and new friends of the show Jess & Pete. Jess and Pete are in a long distance relationship, where Jess lives in Australia and Pete in the USA. While Pete was visiting Australia, Dobbo sat down with them both and the conversation that followed is really amazing. 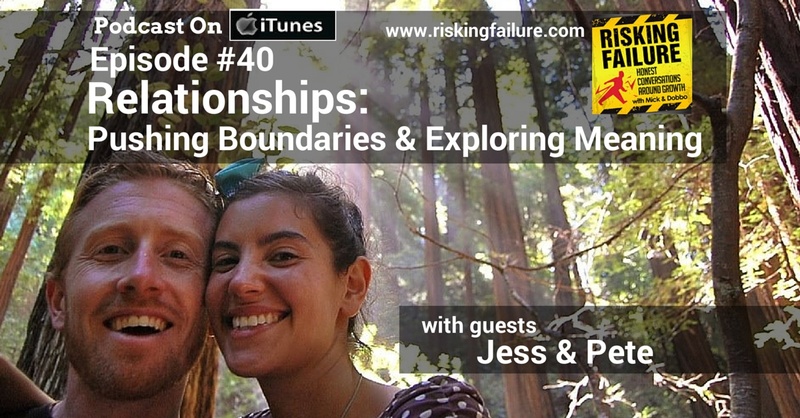 We’re certain this episode will help you explore the meaning, boundaries and ideas of your own existing or past relationships. If nothing else, we think you’ll agree that the ideas, questions and conversations within this episode are nothing short of thought provoking.